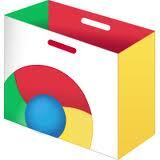 Today we’re launching the Chrome Web Store in Thailand. The Chrome Web Store is an online open marketplace that gives users an easy place to browse, discover and purchase the best apps on the web, and it gives developers a dedicated place to showcase their web applications. Web apps make the web fun, useful and entertaining. However, discovering the best applications on the web can be a challenge because there has never been a dedicated place to search and browse for them. Now, with ratings, reviews and a user-friendly interface, the Chrome Web Store gives users an easy place to discover and purchase these web apps. We’re especially excited that the new Chrome Web Store includes several apps designed especially for Thais, created by local developers. Puzzle lovers will have their hands full: in So Many Me, players must puzzle their way through an exotic land, and Spot the Difference tests whether your eyes are keen enough to spot the 5 differences in each pair of pictures. Dollar Isle is a HTML5 social city-building game where the players can choose between constructions like solar power plants or coal factories. And Paint Stars is an addictive social game where you can be the artist and play with your friends. Of course, there’s Angry Birds and Battle Stations too, as well the popular web clipboard app Evernote, you can also save, organize, and share collected ideas and information on Springpad, photo editing tools like Pixlr, and the Google Docs suite. You can also find in the Chrome Web Store lots of extensions and themes to help you customize your web browsing experience. Extensions are custom features and functionalities that you can add to Chrome. Unlike apps, extensions like Google Mail Checker, I’m Studying (when you don’t want others to disturb you) Google Translate or Quickrr World Clock -- are always available no matter what website you’re on. Themes change the appearance of the background of your Chrome browser to give it a personal touch. In the Chrome Web Store, apps and extensions are presented in a wall of images that’s updated every time you visit the store, so you can quickly scan the store and find interesting new things to try out. Apps and extensions are easy to install (video) — just hover over an image and click “Add to Chrome” You can also choose from hundreds of eye-popping themes. For Thai developers, the launch of the Chrome Web Store in Thailand means they’ll be able to easily build and distribute their apps to the more than 200 million people around the world who already use Chrome. Chrome users will now find it much easier to discover and add new apps, extensions and themes to their web browser, across a variety of categories. And as more developers come on board, you can expect to see apps from great local publishers, content creators and companies. To try these new apps, as well as tens of thousands of items in the store, download Google Chrome and visit the Chrome Web Store. I wonder when would Google allow Thai developer 'sell' their Android apps on your Play Store? Find out if you are qualified now!